Bairstow’s sphincter must be twitching now! all out within 10 balls from now ? TMS really has produced some of the most moving pieces of radio over the last year or two, absolutely wonderful tribute to Tony Cozier. Ive missed the match so far as I’m in Atlanta. Is 300 a good score? I think it’s just about enough. There’s more fire in the English attack, though. They reckon decentish, the Sri Lankan’s batting is inexperienced and Broad, Anderson and Finn should be able to get alot out of the surface, but should have been more. Very good recovery from a sticky position but still a lowish score against a weakish team. Is 300 a good score? I’ve managed 2 rides here in my 48hrs off too, even avoided the rain. It looks like a wicket you need a bit of luck to start, then once in is a bit easier. I’m off to Day 2 at Lords next month, which should be fun. Me too, hopefully Day 1 too. lovely tribute to Tony today. Me too, for Day 2. Maybe Flashy will let us into his box? Think I’m in the Mount stand this year, with the missus. Where are you chaps? Oh, and 300 looking very handy at the moment!!! Anderson on 4fer15. Could be some superb numbers by the end. What’s the weather forecast looking like in Leeds tomoz ? Could be all over on Saturday. Anderson, by the way, has 3-0 in three overs….. Surprisingly, Andersons Headingly record is poor. dammit! Broad stealing anderson’s no. 5! Junky, one thing that irks me (only slightly!) 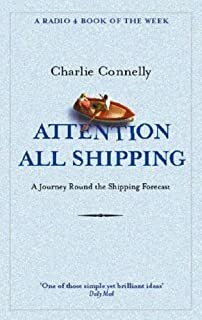 about digital is not getting the shipping forecast!